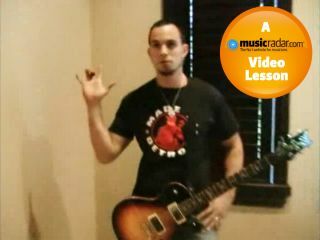 In this video lesson, Creed and Alter Bridge guitar man Mark Tremonti demonstrates his approach to fingerpicking with a specially written piece. Generally, for fingerpicking you should use your thumb to play the sixth, fifth and fourth strings while your fingers play the top three, although you'll notice from the video that Mark uses only his thumb and first finger. You could apply the traditional classical guitar method and use your index (i), middle (m) and annular (a) fingers separately for each of the top three strings, or you can just use your index and middle fingers. Keep your thumb positioned to one side of your fingers so that when your fingers pick upstrokes they don't collide with your thumb playing downstrokes. Motion your fingers toward your palm as you pluck the strings, rather than pulling away from the body of the guitar. This will give you a smoother tone and avoid any nasty popping sounds. 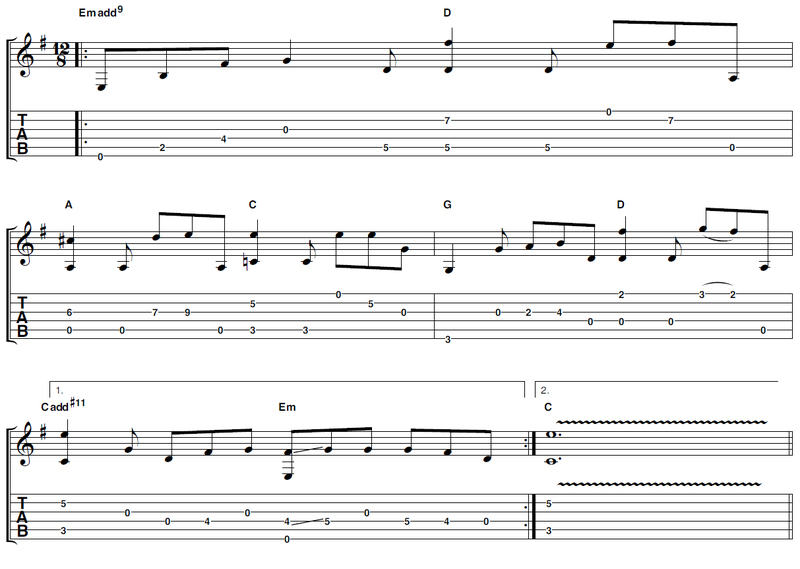 Aim to let the strings ring over each other as you cross strings during the arpeggios. This gives a smooth, fluid sound as the notes blend into one another. The D and C chords are based on 'A shape' barre chords; the A chord is based on an 'E shape' barre chord; and the G and Em chords are based on their open chord shapes.